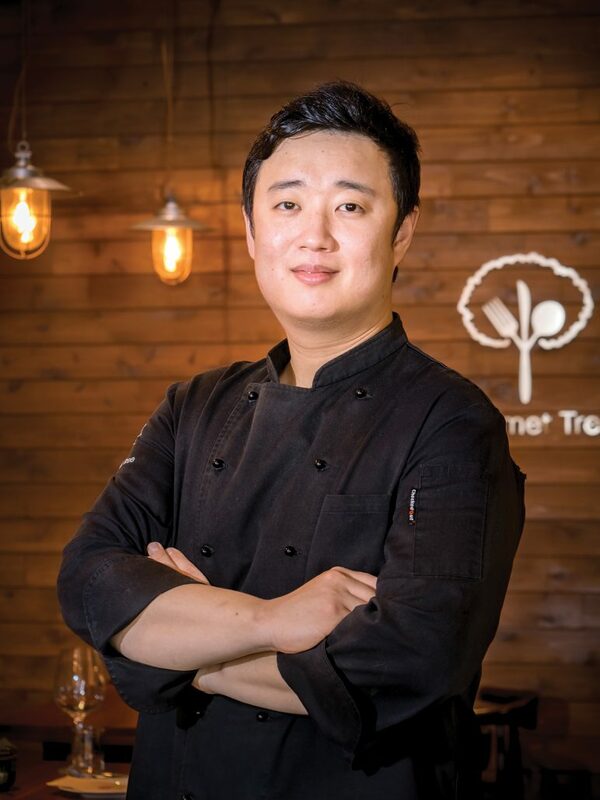 Chef Kim Sung-Mo of Gourmet Tree is a man of few words. Fortunately, he can let his food speak for him. It spins tales of far-away places, age-old techniques, and new ideas, all coming together in a cozy neighborhood bistro. Geumho might seem like an unlikely spot for a culinarily ambitious restaurant to stake a claim. New high rise apartments and chain developments jostle for space with older buildings and the nearby freeway. Gourmet Tree is tucked in among small businesses aimed at serving local families, like veterinarians, greengrocers, and inexpensive coffee shops. The housing might be newer, but the area itself has a homey charm and seems to harbor few aspirations towards trendiness. It’s a world away from some of the glitzier areas of Seoul, but this neighborhood feel is exactly what Chef Kim was looking for. Whatever his plans, Chef Kim’s friendly French food fame has spread, especially after being listed in the Michelin guide as one of their “Plate” selections, which serve up high-quality food in less fussy surroundings than their starred restaurants. The sense of relaxation even seems to steep into the menu, despite the technicality of French cuisine and high standards. 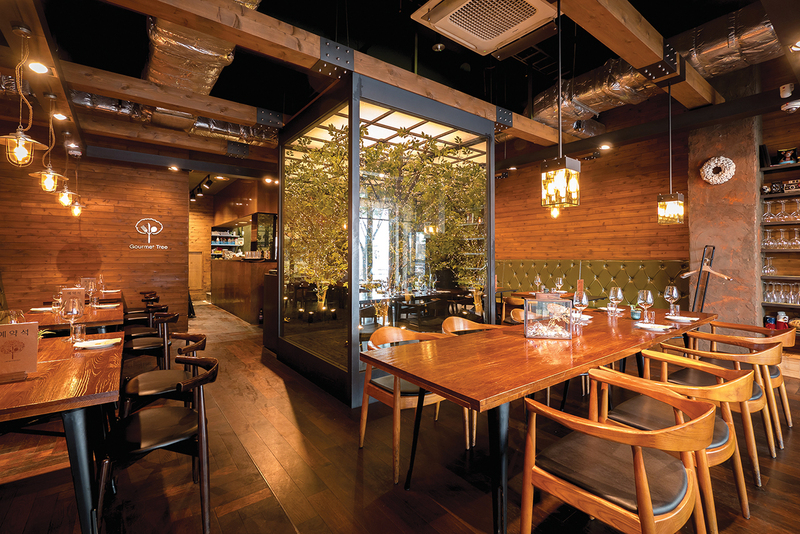 Dishes like octopus pasta and pâté could come across as fussy, but Gourmet Tree makes them seem approachable. Even dishes like a glorious duck confit served with pumpkin puree, pickled onions and smoked squid ink salt comes across as less a masterpiece of prickly French technique and indulgence than a kind of magical picnic item. Once back in Korea, he started working on making French food that would suit Korean palates, adjusting the seasoning, how much fat there was, modifying stronger tastes and playing up ones Koreans prefered. The French preferences for fat, butter and salt were toyed with until they met local approval, while still maintaining the kinds of techniques that the cuisine relies on and high quality ingredients to make sure everything shines, from tender octopus in a Spanish-inspired pasta to the restaurant’s famed half duck confit, a masterpiece of crispy fat and juicy meat cooked in oil to maintain tenderness. “Of course it’s very technique driven, and technique is really at the base of what we do. 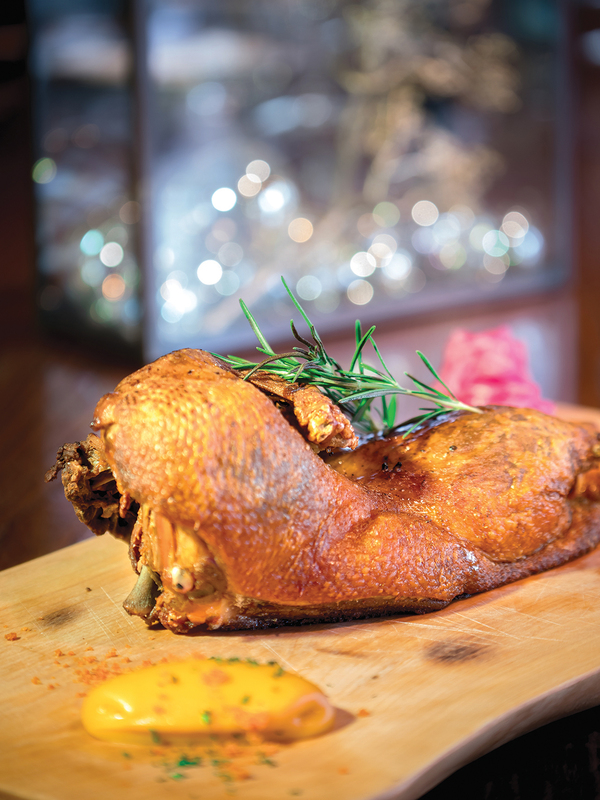 It’s technique that helped me figure out how to confit half a duck, rather than just the legs, and that’s become one of our specialties. But flavor always comes first. I try to make food I’d like to eat,” explains Chef Kim.